I was listening to the radio in the car this evening and the presenter passed as simple comment that she felt that Sundays were a more 'loved up' day than any other day of the week. That couples were more cuddly, and snuggly, and vocal about their love for each other on Sundays. That she always has more love related requests to read out on Sundays. Personally, as my current single self, I don't remember Sundays to be such a loved up concept when I was part of a couple. I found that they stretched in front of me looking for an event to fill the day, and I always felt that if I just stayed at home and curled up on the couch with a box set, a blanket and my man that I was missing out on something wonderful that could have been happening outside. 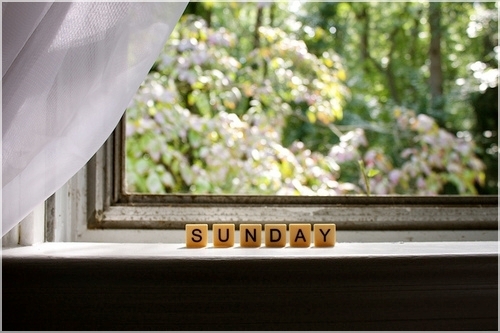 How do you feel about Sundays? Are they time for a little love-fest between you and your partner, or do you like to get out and about? Let me know. Well normally we do do something together on a Sunday so I'd have to go with the crowd on this one. It might just be hungover feeling sorry for ourselves but that does have the affect of making me extra clingy. That said, today I spend a good few minutes bawling because he threw the bit of fresh mint I had managed to salvage for the dinner, in the bin. What can I say, I have PMS. Doesn't make for happy couples! I'm going with the crowd too. we both work on Sunday but usually we will go for a drink(just the two of us), cinema, or cuddle up on the sofa. 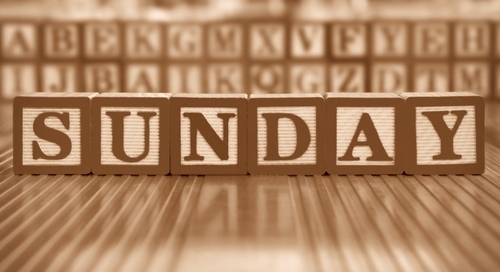 Our Sunday is like everyone else's Friday though as we both work weekends, so Monday is our day off. Since we bought the projector though there has been more of the sofa/bottle of wine/duvet/cuddles thing going on.